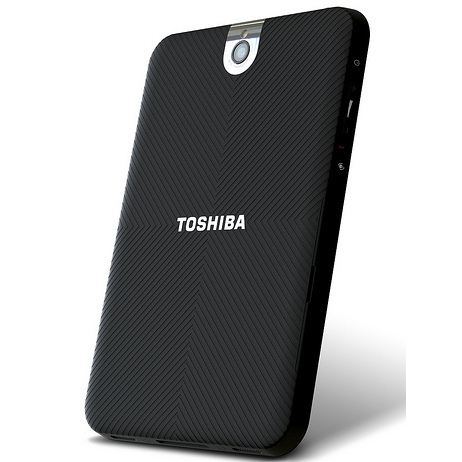 Toshiba Thrive 7 inch Honeycomb Tablet has made official by Toshiba today. You can say this new tablet as the smaller version of Thrive. Although it is smaller in size than that of 10 inch Thrive tablet yet it has the same hardware specs that you get in large Thrive tablet. This small 7 inch Thrive looks very appealing and stylish. 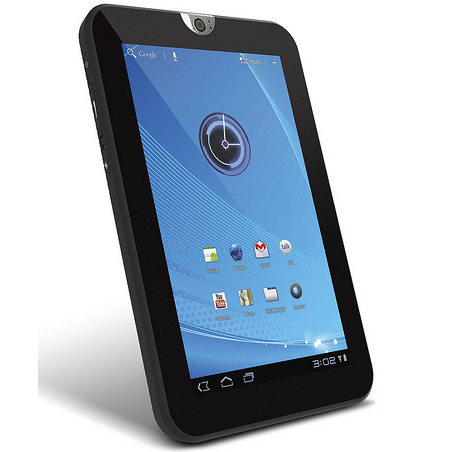 It is designed with a 7 inch capacitive multi-touch display that boosts the resolution of 1280 x 800 pixels while its weight is around 400 g.
According to company, 7 inch Thrive tablet is featured with company’s proprietary Adaptive Display and Resolution+ video enhancement technologies so it is quite sure that you are able to watch high quality videos and images on the display of it. For grabbing more fun into your life Thrive brings stereo speakers tuned with sound enhancement technologies. You will feel great when you play games on this tablet as the surrounding sound will be of high quality. Fun will double when you listen up the music and songs of your choice on this tablet. “The Thrive 7” Tablet is the first seven-inch tablet in the U.S. market to offer a true HD display that when combined with the selection of ports, premium audio, and a better, more robust Android experience make it a great choice for on-the-go consumers looking for a no-compromise tablet,” said Carl Pinto, vice president of product development, Toshiba America Information Systems, Inc., Digital Products Division. Toshiba 7 inch Thrive Tablet is running on Android 3.2 Honeycomb platform so the users of it will be able to pick the applications and games of their choice from the largest application market i.e. Google’s Android market. Best performance is possible through an integration of Tegra 2 dual-core processor. There are a number of built-in ports such as miniUSB, microHDMI and microSD . for connectivity purpose , it offers Wi-Fi and Bluetooth. It is packed with dual snappers; one is 5MP rear camera and second is 2MP camera for video calling. When you go through all specs and features of Toshiba Thrive Tablet then you will come to know that it is definitely the best Android tablet and surely it has the capability to compete with Galaxy Tab. Toshiba Thrive 7 inch tablet will come in two versions one is 16GB and second is 32GB. Toshiba hasn’t revealed the price and release date of this device. So stay tune to get an update.